As a nation and as a people, we have a problem with integrity. Somewhere along the way we seem to have discounted the importance of telling the truth, of being forthright, of being honest. We have accepted a narrative that suggests a comfort level with half-truths and casual lies. We no longer hold ourselves or others accountable for the stories we tell, the facts we convey, or the news we disseminate. We are on a very dangerous and slippery slope that seeks to undermine everything from relationships to religion. 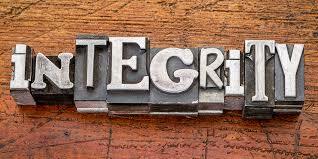 Our willingness to accept a lack of integrity has eroded trust in both institutions and leadership. Such a lack of trust will be difficult to reverse. There are some professions that, through the years, have taken on the moniker of being dishonest. Whether fair or not, there are some people that we have been conditioned not to trust or believe. For example, on the scale of trustworthiness, used-car salesmen have to be near the bottom, right? We look on such folks with disdain and go into any conversation or transaction with them having our “distrust antenna” raised in the air. It’s the same with weathermen. I once heard the expression, “If a weatherman is talking, he’s lying!”… a reputation earned when forecasts go astray. Or what about attorneys? Story after story is told of dishonest men and women who practice law, not to bear out the truth, but to make the biggest buck. You probably have your own list of folks that you just can’t trust. A recent nation-wide Gallup poll listed firefighters and nurses as the two most trusted professions. Grade school teachers were also near the top. Clergy didn’t fair too well… 17thon the list. Senators and congressmen were 36thand 37threspectfully. Insurance salesmen came in at 40th. And the least trusted of all professions was that of telemarketers. The fact that such a list even exists should be telling. Why shouldn’t integrity matter at every level? Why should anyone be untrustworthy? Why should we accept dishonesty within our culture? I can’t speak for you, but when I go the bank I want my banker to be accountable for how safely my money is being kept. When I go to my doctor, I want her words concerning my health to be accurate and honest. When I listen to my political leaders, I want them to represent the integrity of their office and not the opinions of their party affiliation. And when I go to my church, I want the words of my pastor’s sermon to be noble, trustworthy, and representative of Christ. Here’s the danger when leaders fail to maintain integrity. Whenever we no can longer trust their words, we begin to no longer trust in the institutions they represent. We become cynical of everything and everybody. Such negativity begins to eat away at the spirit of our nation like an ugly, aggressive cancer. We should expect better. We should demand better. Not only should we expect and demand better from our leadership, we should expect and demand better from ourselves. Trust is not easily earned. It is forged on the anvil of consistency, integrity, and honesty over the long-haul. It starts with the small things… a promise given, a word kept, a trust maintained. Those who are willing to fudge on the little things, can’t be expected to be faithful with greater ones. We need to hold ourselves accountable. We need to demand high standards in our personal lives. We need to realize that the longings we have for greater morality, integrity, and truth within our nation begins with the longing to establish such a reputation in our own lives. Let’s be honest when we talk about things… honest when we talk about someone’s reputation or background, honest when we talk about broken laws, honest when we talk about news reporting, honest when we talk about policies, honest when we talk about abuse, honest when we talk about racism, honest when we talk about immigrants, honest when we talk about everything. And let’s be honest when we talk about the things in our culture that Jesus would have endorsed and the things that He would not have endorsed. Let’s not mar His reputation by connecting Him to the demonic and dark prejudices of our day. We have a national integrity problem and it will only get better when each of us decides to live with truth as a way of life, and not as a selective, occasional option. This Podcast features a devotional thought from Psalm 10, written and narrated by Dr. Jon Roebuck, Exec. 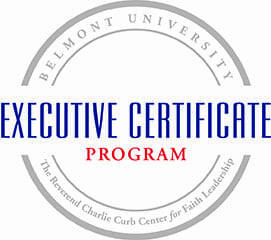 Director of the Charlie Curb Center for Faith Leadership at Belmont University. This Podcast features a devotional thought from Psalm 9, written and narrated by Dr. Jon Roebuck, Exec. Director of the Charlie Curb Center for Faith Leadership at Belmont University. 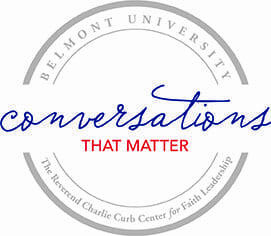 This podcast features a brief devotional thought from Psalm 6 written and narrated by Dr. Jon Roebuck, Exec, Director of the Charlie Curb Center for Faith Leadership at Belmont University. This podcast features a devotional thought from Psalm 5, written and narrated by Dr. Jon Roebuck, Exec. Director of the Charlie Curb Center for Faith Leadership at Belmont University. This podcast is a devotional thought from Psalm 4 written and narrated by Dr. Jon Roebuck, Exec. Director of the Charlie Curb Center for Faith Leadership at Belmont University. This podcast features a brief devotional thought from Psalm 3, written and narrated by Dr. Jon Roebuck, Exec. 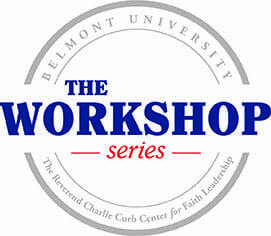 Director of the Curb Center for Faith Leadership at Belmont University. This podcast features a short devotional thought from Psalm 2, written and narrated by Dr. Jon Roebuck, Exec. Director of the Charlie Curb Center for Faith Leadership at Belmont University.